Amijah is very well halter broke. She has been ponied by a horse as well as a four wheeler, as the video shows. She is sensible, easy to catch and load in a horse trailer and broke to use a hot walker. She has also been on constant hoof care since birth and is easy to trim. Correct and beautiful, she will make an excellent mount for most any discipline. She was weighed on a livestock scale here and is currently 1024lbs and measured with an official stick and is currently 14.2 hands. 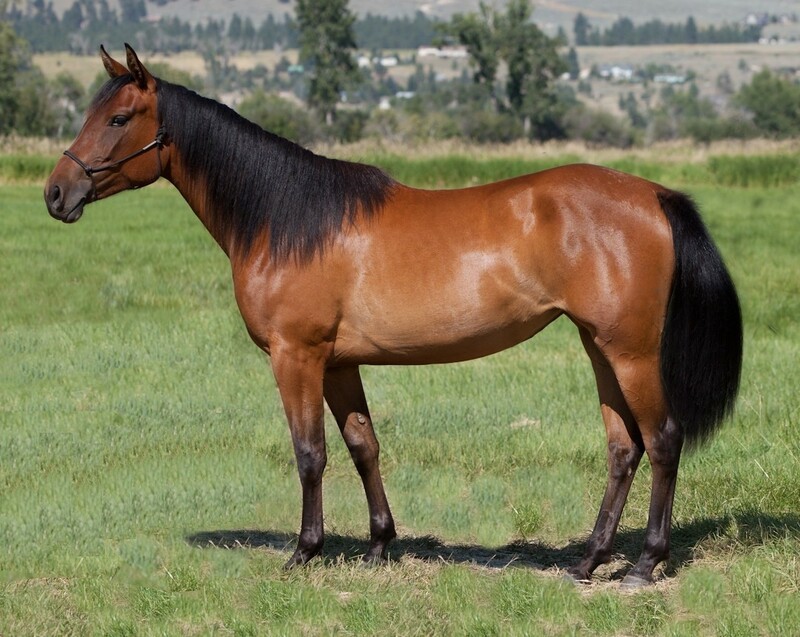 Her Dam, Poco Doc Music aka "Polly" is one of our using ranch horses at the ranch, she is 15.1 and her Sire is 16.1 hands and she will mature approximately 15.2 hands. Please contact Debbie with any questions you have.